He said the troops followed up the attack with mopping up operations of the general area before advancing further into the forest. Two corpses of the attackers, two AK-47 rifles, two Rocket Propelled Grenade (RPG) bombs, five rifle magazines, mortar bombs and belts of Machine Gun rounds were recovered from the terrorists. 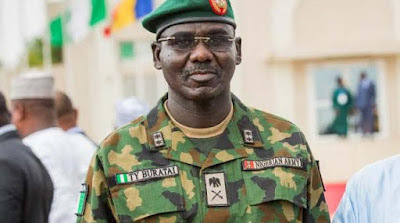 He added that five soldiers were wounded as a result of mortar fired into the harbour area by the Boko Haram terrorists and were evacuated to the rear for treatment. In a related development, one of the Boko Haram leaders declared wanted by the military was arrested yesterday May 13th by troops of 143 Battalion. He said the suspect was moved to 28 Task Force Brigade Headquarters for further investigation.